By submitting, I agree that AIRPLE may send me marketing, advertising and promotional information about services that the Company may be offering by way of postal mail, electronic transmission to my email address(es), voice call/phone call and /or SMS/MMS/Whats App (text messages). AIRPLE specializes in the installation, maintenance and repair of air conditioning units. We extend our services to residential and commercial properties. We Recommend: A chemical wash of your aircon unit every 6 to 12 months, or when there are signs of performance deterioration, bad smells, excessive noise or leakage. We Recommend: A chemical overhaul if the performance of your aircon unit is poor or erratic. It is also recommended if chemical cleaning has not been effective in restoring the aircon’s performance or it has been unwashed for several years. A Kaodim Champion is a service provider who has demonstrated great service & professionalism. AIRPLE offers aircon servicing packages in Singapore ensure optimal performance of your air conditioning units. You can find great deals and promotions with our non-contract and contract prices for 1 unit and more, to help you save more cost. Aircon servicing is essential as dirt accumulation on the air filters can impede proper airflow which leads to high energy consumption and increased electricity bills. An aircon unit requires care and attention to ensure a long service life, where it can run optimally long-term. In a tropical climate like Singapore, it is not uncommon to see long hours of operation for the air con units. However, this also means the unit will accumulate dust more often and will be affected by quicker wear and tear if it is not taken care of properly, eventually leading to a breakdown. It is also important that the aircon is expelling clean air so you can breathe more easily and it will not negatively impact your health. As such, setting a regular schedule to service the aircon is important. 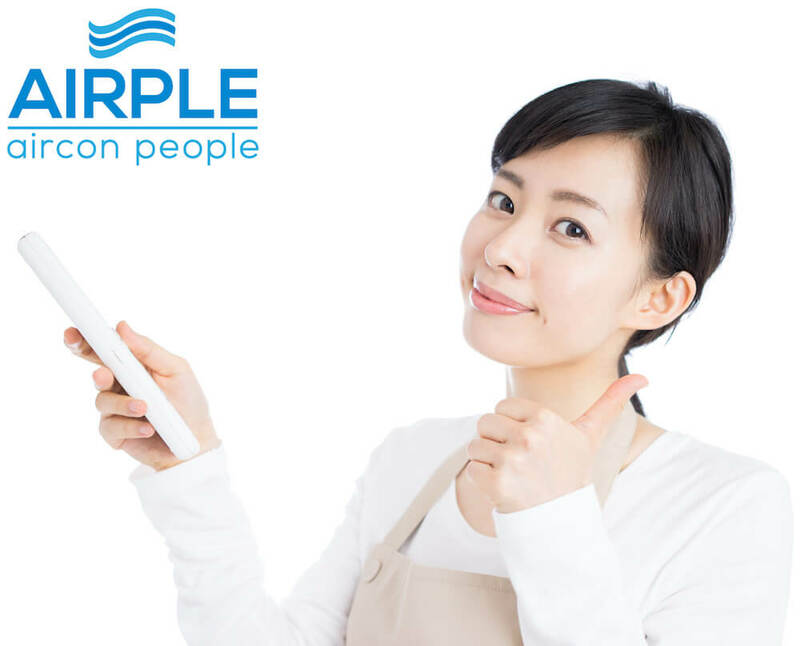 Our technicians at AIRPLE will be able to do general cleaning and maintenance services like cleaning or replacing the air filters to ensure unobstructed airflow. The aircon’s evaporator and condenser coils will also be checked and cleared off any dust particles as well as unclog the unit’s drain channels. Besides regular maintenance, a thorough inspection will be carried out to check for the internal parts of the unit, diagnose any problems early on and rectify it immediately so it will not worsen and be even costlier to fix. A shorter lifespan means you will need to replace your aircon unit to achieve the same comfort. It is highly advisable for aircon owners to service and maintain their units regularly to prolong its operating life and get the most out of it with optimal performance. Get in touch with AIRPLE today to find out more on our service charges and packages that best fit your aircon servicing and repair needs. Copyright © 2019 AIRPLE All rights reserved. Your form has been submitted. We would be contacting you soon.